Recommend me some good Stoner Rock! Discussion in 'Music Corner' started by antonkk, Mar 26, 2007. Sigh.... Looks like some people still don't get it. As usual the thread just devolves into people listing bands they like. New Bongripper album is out! Got it, but haven't had a chance to heard it yet. Is it pronounced Bon Gripper, or Bong Ripper? PretzelLogic Machine wrapped in butter. JFC this thread is an embarrassment. Particular congratulations to whoever suggested The Orb and Robin Trower were stoner rock. Sons of Alpha Centauri have a new album out. They're from the UK but are linked to Yawning Man (they have a joint project called Yawning Sons) and Karma To Burn. They're just about stoner, but on the lighter end, and previously only used numbers instead of song titles. I like them a lot. Remote Control Triangle, Sprague Dawley and Yesternow like this. III, by Weedpecker - my 2018 "best album i've heard this year" without a doubt. I hope these guys can get to the UK sometime soon. Somali Yacht Club - "The Sea"
Les Lekin - "Died With Fear"
The Spacelords - "Water Planet"
Yawning Man - "The Revolt Against Tired Noises"
It's strange, a couple of years ago I probably hadn't heard of most of these, funny how tastes change - its now my goto genre, if there is such a thing Hooray for Bandcamp, a lot of these can be bought from there. Horse Majeure and Sprague Dawley like this. Get the first three Iggy & The Stooges albums. About as raw and stoned as you can get. Trust me. The first few Grand Funk Railroad albums worked for me in the late 60's and early 70's, though I'm a bit embarassed to mention it now. What's stoner rock? Is it supposed to be slow sludgy and Sabbathy? I've heard the term before and I'm not too clear on it. Having said that I'll recommend The Gathering's "Mandylion" and "Nighttime Birds" as well as the band Trouble. who released a track from their upcoming album, and who's last album 'Grief's Eternal Flower' was awesome. starfieldroad and Slice like this. It's pretty great because people are even trying to help by explaining what stoner rock is and someone will invariably post ZZ Top or Deep Purple directly underneath the post. starfieldroad, GodShifter and Sprague Dawley like this. Thread needs a raging mod clearout or the plonkers will just continue seeing "oh Neil Young, yeah, I get it, stoner rock"
Nice to see this thread bumped... it's probably the one thread I know a TON about. The new Kikagaku Moyo album is rather brahma.. Horse Majeure and Soundhead like this. zakyfarms White cane lying in a gutter in the lane. Just saw them last night! Helluva show! Horse Majeure and StarDoG like this. King Buffalo "Longing to be the Mountain"... melodic. at times quite dark and also pretty heavy, probably my favourite album so far released this year. Macman, Horse Majeure and Soundhead like this. San Francisco via Manchester U.K. Waiting for my copy to come in the mail, can't wait to hear it, their earlier single sided release repeater is also really good. My vinyl copy arrived and the quality is excellent. I went for the "none label gold" version from the band's own site. I've got one for you: Ministry "Filth Pig". 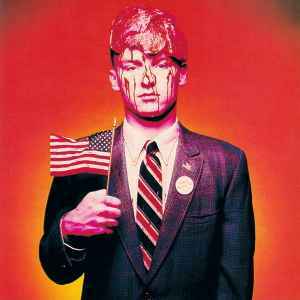 After several albums filled with high speed riffs, drum machines, and samples; Ministry came back with a (mostly) slowed down, sludgy, raw and stripped down album that captures a band in the studio. Glad this thread is still getting some action. I recently picked up the latest Goatsnake album "Black Age Blues" and though I'm truly thankful these guys are still doing it, at first blush it's a tad disappointing. Mind you that's mainly because I was (foolishly?) expecting more of the same from them but a lot of time has passed since their last full length so to be fair I need to give it a bunch more spins before deciding. ifihadafish, Sprague Dawley and 100423 like this.